INTERESTED IN THE ROYAL SUITS? 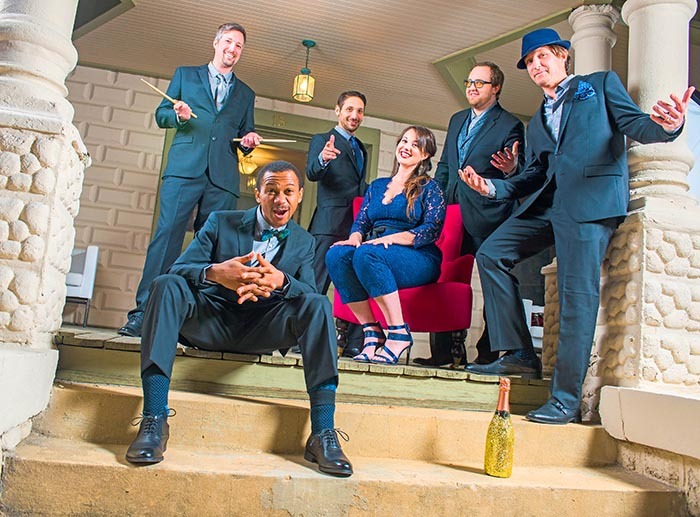 The Royal Suits are a diverse, stylish, energetic, and highly sought after party band that performs popular and danceable genres of music - from current Top 40 and indie rock to funk, classic rock, Motown, and beyond. 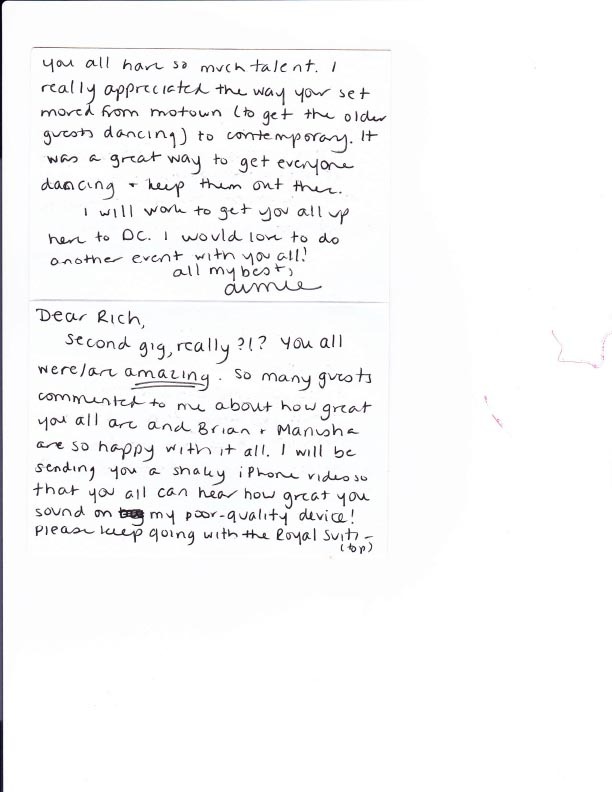 They ensure that you and your guests are on the dance floor and highly entertained from start to finish. 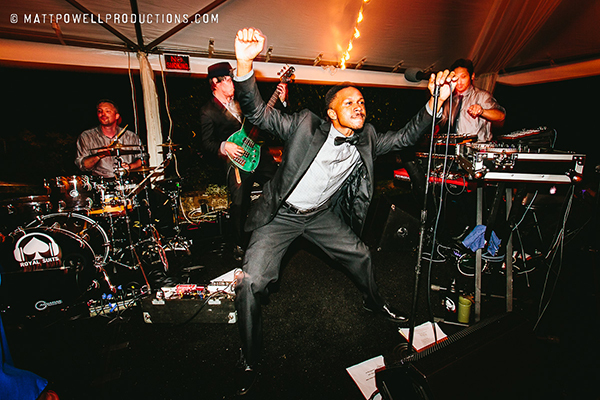 The Royal Suits are one of the only bands in the country offering both high energy dance sets and the option of incorporating an acoustic set, complete with live strings, for your cocktail or dinner hour. If you are booking them for your wedding, this group's talented multi-instrumental members can also offer a traditional (or non-traditional!) violin and cello duo for your ceremony. 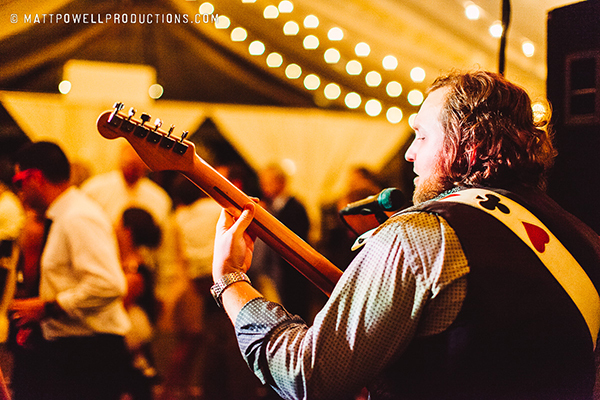 The Royal Suits pave the way for you to easily book one act for everything, incorporating all the music genres you and your guests could desire, for any type of occasion that you are celebrating, in one swoop. Now, that's the DEAL! 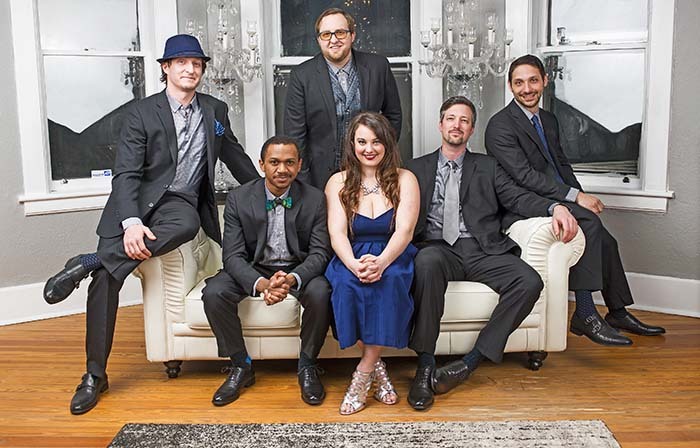 The Royal Suits, an Asheville, NC-based band, is produced in collaboration by Ellie Schwarz, an agent for EastCoast Entertainment and Rich Brownstein, a veteran of the music scene who ran two legendary music venues in New York City, "St. Cafe Wha?" & "Groove". 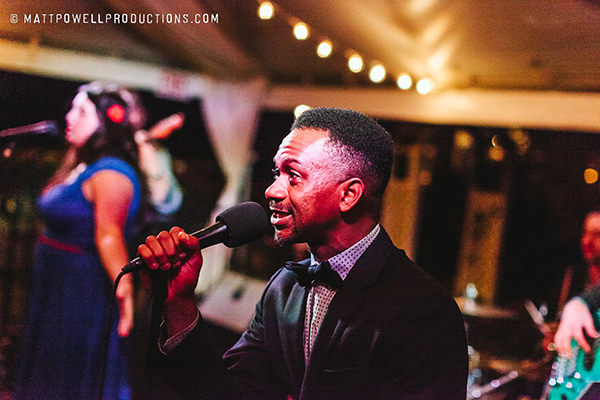 Rich is your go-to-guy for all logistics leading up to your event, and will be with you every step of the way, including on-stage at your event, leading the band and utilizing his BA from NYU where he studied jazz piano and music technology. Rich and Ellie understand the desire for both current tunes and hits from multiple generations, in a way that will excite both the radio listener as well as the music aficionado. A jack of all trades, Matt Williams plays guitar, sings both lead and backup vocals AND performs killer LIVE violin parts with The Royal Suits. In addition to receiving Grammy certificates for his studio work as a featured artist, arranger and recording engineer on three Grammy award-winning albums, Matt has been fortunate enough to have shared the stage with many other renowned and award-winning musicians throughout his career. The band's dedicated front line is comprised of dynamic high energy vocalists. Roddy "The Joker" Wilder has an incredible vocal range and dance moves to match. On female vocals is the "Queen of Hearts" Adriana "Ave" Rosen, who graduated from the Northwest School of the Arts with a concentration in Musical Theater Performance. 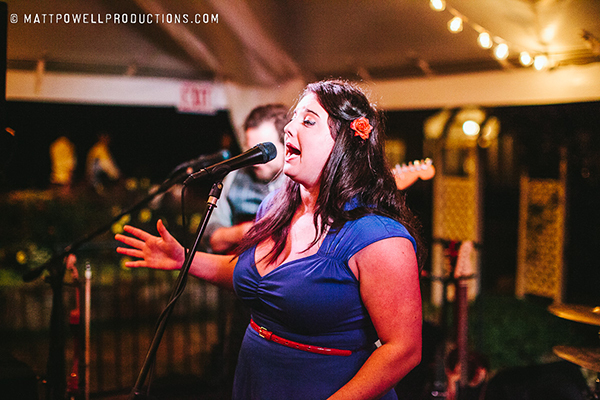 Ave is equal parts verve and vivaciousness, and she loves bringing an interactive spirit to the stage. Keeping the beat is Jon Rush Lauterer, who has both bachelor's and master's degrees in music, has collaborated with the rock band Ween, and performed in the orchestra behind classic rock band Kansas. Jon works closely with stellar bassist, Ryan Reardon, to keep the tempo upbeat and solid. Ryan also holds a master's degree in music from Ithaca College in New York, and has world-wide touring experience. Like Asheville's diverse music scene, these musicians and singers have done it all. 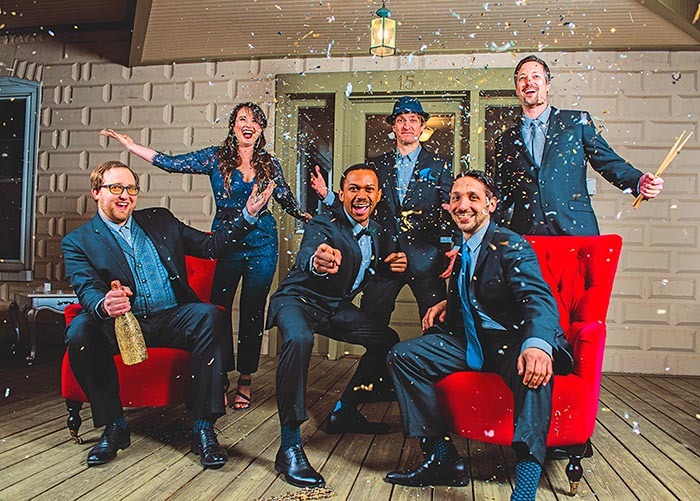 A true "music lover's" band, The Royal Suits take every tune seriously and put their own original spin on it to ensure that you can feel the authentic and special energy that only comes from musicians who care about the music- AND your event's success. 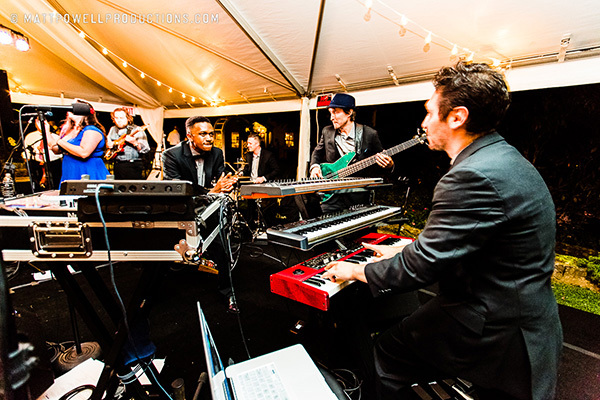 They take current and older songs and arrange them in an artistic and musical way that will ensure that your event entertainment will be a true one-of-a-kind experience. Don't be surprised when you see vocalist Roddy pick up the acoustic bass for the cocktail set. Ryan may trade in his bass for the cello for your ceremony, and Matt could move over from guitar and vocals to violin. Don't be shocked when drummer Jon Lauterer shows off his true musical diversity when he retires the drum sticks for the acoustic guitar. With The Royal Suits, the dynamic is always energetic, exciting, dynamic and REAL. Our goal is to take Asheville's unique, professional, and innovative music scene directly to your event, no matter where it is held, no matter what the occasion. 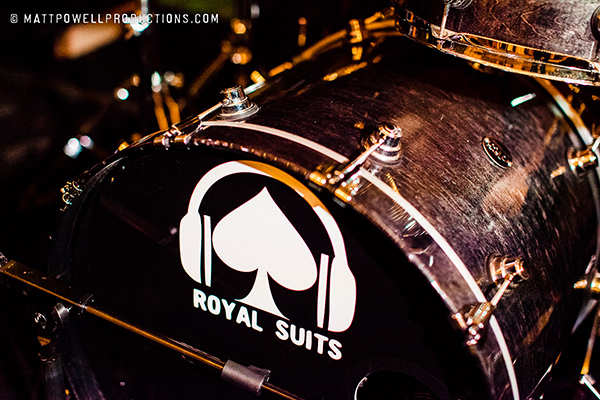 Don't gamble on your event - book The Royal Suits. They were awesome and so easy to work with. Thank you!! They were amazing! Very easy to work with, on time, sounded great, I would def work with them again. Sharon Jones & The Dap Kings - How Long Do I Have To Wait For You? The Isley Brothers - Shout! The Flaming Lips - Do You Realize?